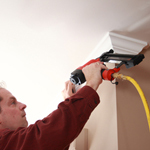 Since 1991 1st Choice Painting and Carpentry has been the name to call on for all of your interior service needs. Transforming one area or a whole house requires thoughtful consideration and planning. We know how important it is for you to have everything just right when decorating your home, pointing to our consultative approach rather than a ‘one size fits all’ that most companies employ. Over the years, our approach has garnered appreciative homeowners along with countless successful projects. Below are some main areas of focus. Is there ever enough time to tackle those little projects that keep piling up? If there was ever a best time to get them handled it’s when we’re already working with you! 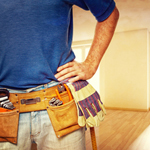 We can help you with your honey-do list and other handyman needs. 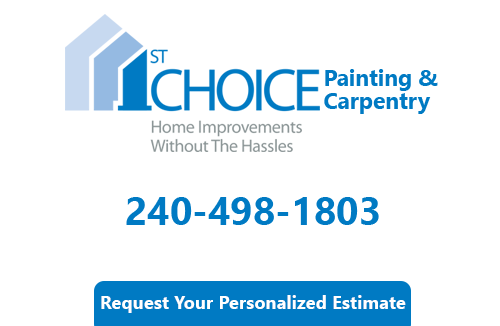 If you are looking for interior painting services in Bethesda please call 240-498-1803 or complete our online request form.